SFYTT Designer of the Month! Yippee! 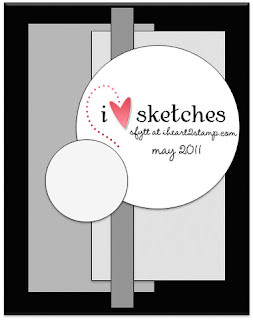 I'm so excited to announce that I am the May Sketch For You To Try Designer of the Month! What an honor! This month is also extra special because the sponsor this month is Your Next Stamp! Karen is offering a 10% discount for SFYTT participants. Just use the above code:) Are you ready to see the sketch? I used this SUPER ADORABLE YNS stamp named Chompy along with some Echo Park Paper Co. A Walk in the Park dp. I colored Chompy with my Copic markers, then cut him out and popped him up on some Dimensionals. I added some Stardust Stickles to his spots, and some Glossy Accents to the water drops on the leaf. The sentiment is computer generated. I can't wait to see what you guys create with this fabulous sketch, and make sure you check out what the rest of the SFYTT Sisters came up with! I am not a stamper, but I love this sketch. I hope to get to use it this week. I absolutely adore your card -- the colors, your coloring, and of course the sketch was a great starting point. P. S. Congrats on being a designer of the month. You so deserve the recognition! YAY! Congrats Kerri! I adore your Chompy card - too CUTE!!! Kerri, I love everything about your cute card - the colors, the sketch, the darling image - he's so cute munching on his leaf - I need to munch more leaves instead of chocolate!! Adorable! So glad to have you as a guest designer this month! Your card is super cute. Love all the different elements and the colors too! This is adorable Kerri! Totally jealous of your coloring skills and the stitching is the perfect touch! Super cute card and congrats to ya.....what a super awesome honor!!! tfs!! Oh, I am so happy for Kerri! What a great news! Hooray! Your card is super adorable! You really did an amazing job with this sketch! EEK! This is just so cute, I love Chompy and really need to get him all inky! Congrats on the GDT spot too, you rock!!! Awesome card, Kerri! I just love all the bright colors and the amazing layering/embellishing! So happy you're with us this month! hi kerri, your sfytt card is so bright and fun--makes me smile! i'm glad to have you joining us this month. 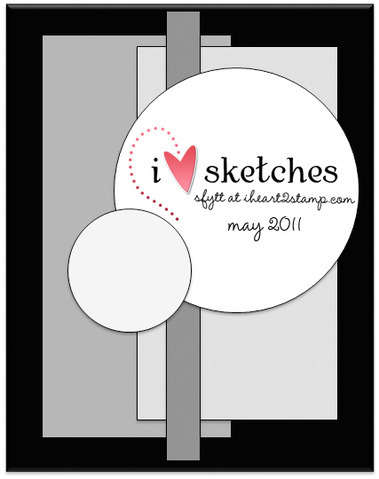 have a ball with the sketch--it's a great one! Fabulous card Kerri. I love the bright colours - it's so cheerful! Congrats Kerri! As always a super creation. Way to go on the guestie spot! I love Jen's sketches and always try to play along! 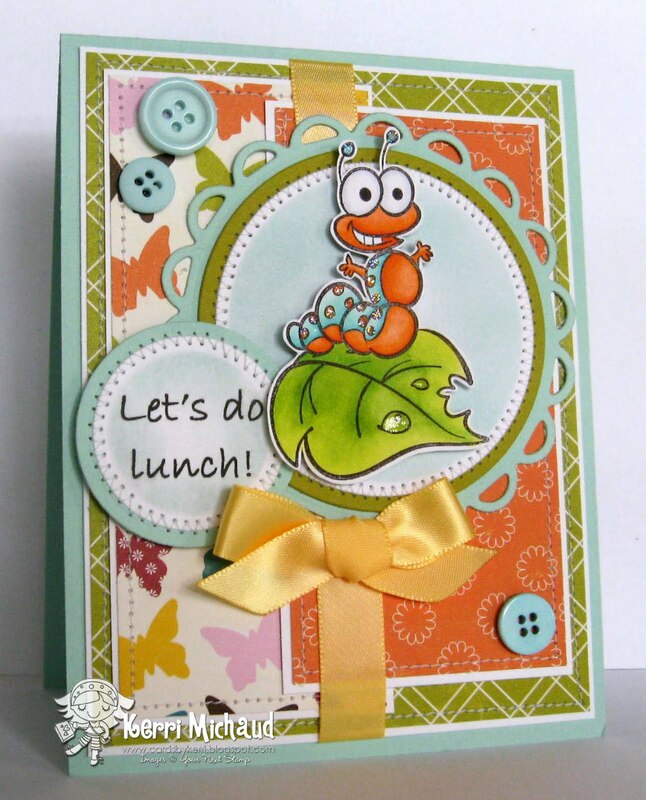 Your card is so adorable and I love the happy colors! This is SO out of control CUTE!!! LOVE this stamp and your coloring ROCKS! Of course, I love your papers too!!! SO excited to have you with us this month girlie!!! totally CUTE! Love your colors and coloring Kerri. COngrats on the GDT! HUGE congrats, Kerri! You are so deserving! Your card rocks too! AWWWWWW HOW CUTE Kerri!!!!!! Super fun colors and you soooo rocked this sketch girly!!! ADORABLE! I keep forgetting to mention that I love the new look of your blog!! Such pretty colors! !